ON SEPT. 20, 2012, the Thai Spa Association will be holding the first Thailand Spa Awards Night, a black tie event that will include awards in 20 categories. Entries will be voted on by event exhibitors, spa operators, consumers and the Thai Spa Association Board. Event exhibitors will have one vote; spa operators, 10 votes; consumers, eight; and the Thai Association Board, one vote. Andrew Jacka, president of the Thai Spa Association, said that the awards would be audited by KPMG Poomchair Audit Ltd.
Andrew also reported that the Thai Spa Association would be marking its 10th anniversary next year and that plans were well advanced for celebrations in February/March 2013. In 2011, the association was active in more than 40 events, activities and projects to promote the industry, locally and internationally. These included participation in the Office of Small and Medium Enterprises Promotion and taking 20 Thai spa companies to Hong Kong for the Natural Products Expo Asia 2011, Business Matching and Spa Study Tour. Under this project, the association conducted five seminars in Bangkok, with subjects as diverse as packing design, intellectual property rights and international marketing. More than 400 people either participated in or benefited from these activities. 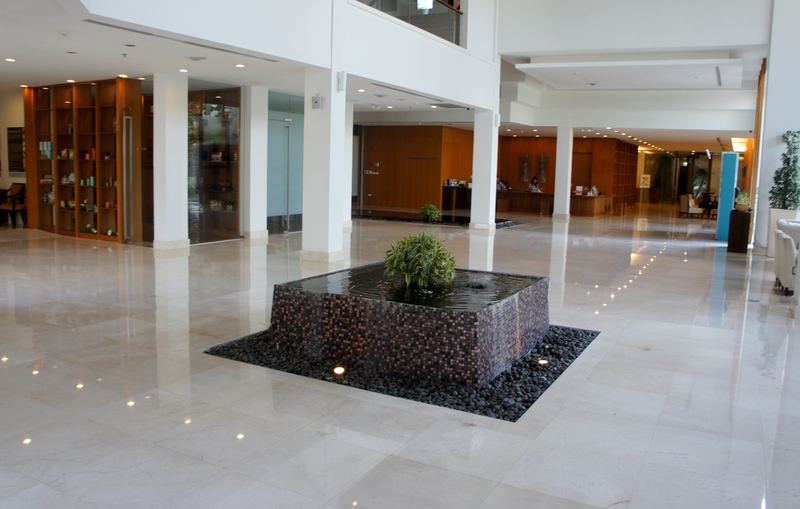 MediSpa of the Year – Tria Integrative Wellness, Bangkok. 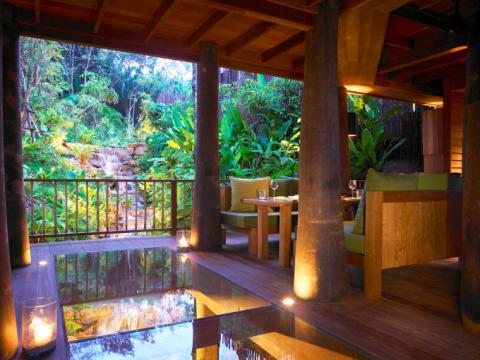 Spa Design of the Year – Coqoon Spa, Indigo Pearl, Phuket. Spa Retreat of the year and Spa Cuisine of the Year – Kamalaya Wellness Sanctuary and Holistic Spa, Koh Samui. IT’S ALREADY BEEN a big year for Soneva Kiri, which became the epicenter of a series of dinner and talks by adventurers and thinkers. Each event an insightful and learned view about the earth’s fragility and how best to support it – in line with the Soneva core principals of SLOW LIFE (standing for sustainable, local, organic, wellness – learning, inspiring, fun, experiences) and intelligent luxury. When Shelley von Strunckel, international astrologer, was invited to Soneva Kiri, the stars were consulted for the most prescient dates for the trip. With the heavens aligned, Shelley spoke to guests about the turbulent times we live in, the positive nature of change and how a change in thinking alone can – both personally and globally – result in golden opportunities. Spending time with guests individually, Shelley identified issues, understand them and by so doing change them from challenge to a gift. During her stay Shelley shared the news of the spectacular planet formation and her spectacular stay at Soneva Kiri by tweeting with followers around the world. Following Shelley was charismatic adventurer Charley Boorman, who entertained guests with colourful tales of motorcycling around the world with Hollywood actor, Ewan McGregor, and of how to travel the planet without using airplanes (much). Always the man of action, Charley escorted guests on many of the adventurous activities available at Soneva Kiri, particularly kayaking among the mangrove forests and klongs. 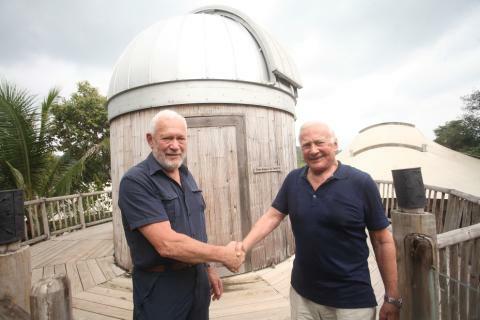 With the moon now full and hanging bright, the scene was set for an historic meeting, dinner and discussion between two eminent explorers, Buzz Aldrin and Sir Robin Knox-Johnston. 1n 1969 Buzz was the first to travel through space and land on the surface of the moon and in the same year, Sir Robin, the first to sail solo round the world. Guests gathered at Soneva Kiri’s Ice Cream Parlour, under a full moon, with Venus, Jupiter and now Mars in full view, to meet and listen to this meeting of minds. It had all the feeling of an historic moment. Sir Robin Knox-Johnston opened the evening, telling of his four circumnavigations of the globe. He had seen every mile of the global oceans first hand and about its expansive beauty, sailing alone on a boat made by his own hands. “He’s a gentleman explorer, what he did alone was very impressive,” said Buzz. In contrast Buzz Aldrin was part of a cast of literally thousands. He spoke of his life from the age of two, when he flew for the first time with his father (interestingly a close friend of Orville Wright) and of his career as a fighter pilot in the Korean War. He described the moon as a “magnificent desolation”. Both Buzz and Sir Robin also enjoyed the experience of meeting each other. Sir Robin took several guests for the sail of their lives in Soneva Kiri’s zippy catamaran. Buzz and his family enjoyed snorkeling, diving and spending time at the Observatory – particularly the solar telescope allowing guests to view the sun. The Soneva Dinner Series will continue later in the year. THE TOWER CLUB at Lebua is offering a range of luxury suites in its Hangovertini package, which includes over night accommodation in a Tower Club suite – city view or river view – plus a complimentary Hangovertini at Ocean 52, a roof top bar 52 floors above Bangkok. The package features a number Tower Club Room privileges, including daily continental breakfast buffet at Café Mozu, complimentary non-alcoholic drinks, a 5% discount card at Emporium and Paragon department stores. Privileges at the Tower Club Lounge a light lunch buffet, afternoon high tea and complimentary drinks, alcoholic and non-alcoholic, until 6 p.m.
Rates start at $195 a night, based on single and double occupancy with no minimum night requirement. 137 PILLARS HOUSE, a 30-suite boutique hotel, built around a colonial homestead from the early 1800s in Chiang Mai, has a special travel trade rate of $150 a night until Oct. 31, 2012. The hotel is only minutes away from the historic Wat Gate Temple, the Ping River and a boutique shopping centre, and offers four types of suites with outdoor verandas and garden showers. 137 Pillars House has a spa, a gym fitness centre and an outdoor pool and offers a full range of dining options, using organic ingredients from its own garden. Like Thai food? Then meet Mini C. That’s the pen name for Ob-oom Chutrakul, author of two cook books; executive consultant chef, S Cuisine, S Medical Spa; executive consultant chef, The Gastro; and managing director, Quintessentially (Thailand). She spent three decades abroad, returning to Thailand in 2007. While in the U.K., Mini C operated the prestigious Busabong Restaurants in London’s Chelsea district and became known as a celebrity chef, appearing as guest chef on a number of SKY Channel’s cooking programs. 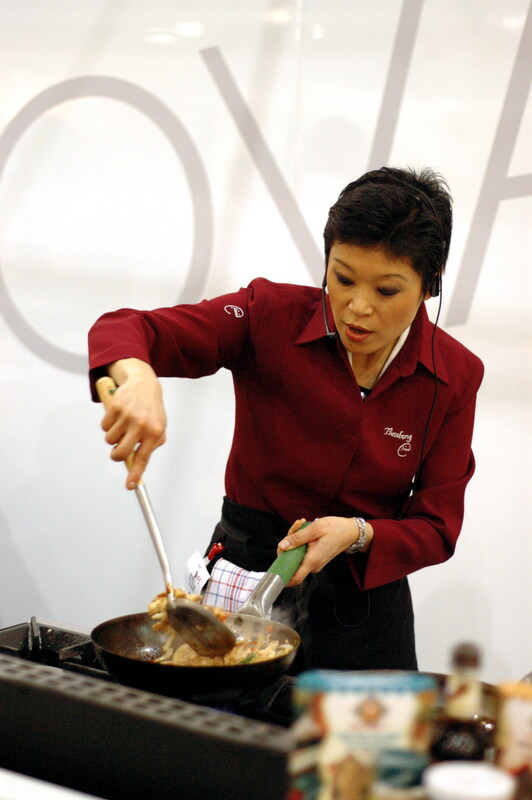 In addition, she shared her love for Thai cooking with audiences in 170 countries on TV shows broadcast over the Thai Global Network, Channel 5. Her first dish appears below. This is very Thai. It is another way of making beef more interesting, — apart from the usual stir-frying and stewing methods. 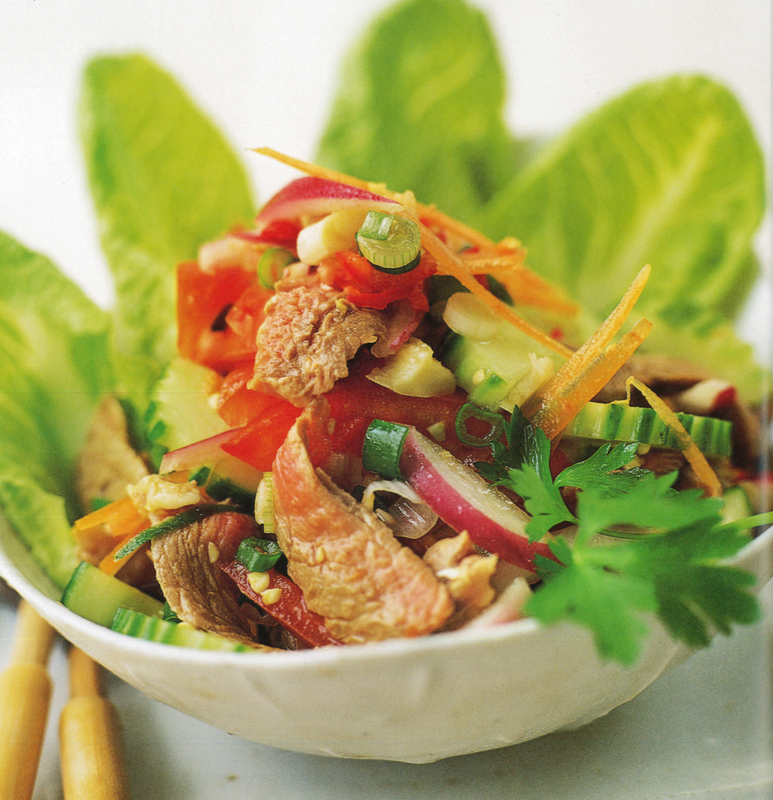 Although quite a filling dish, it is great for your waistline as long as you trip any fat from the beef. Especially great with an ice-cold beer. ½ handful of coriander leaves, to garnish. Preheat the grill to medium-high and lightly grease the grill rack. Place the beef on the rack and grill for 2-3 minutes on each side until it is medium-rare, then set aside to cool. Pound the chillies and garlic together into a paste using a pestle and mortar. Transfer to a large bowl and stir in the fish sauce, lemon juice and sugar. Thinly slice the beef and add it to the bowl, along with the cucumber, tomatoes, onion and spring on­ions and very gently toss together. CENTARA GRAND BEACH Resort Phuket has been voted as one of the Top 25 Hotels for Families in Thailand by TripAdvisor in its 2012 Travelers’ Choice awards. The listings are based on ratings awarded by travelers who stayed in the hotels. Centara Grand Beach Resort Phuket was ranked number 12 in the Top 25 listing. Guests have the opportunity to rate the properties on a scale of 1 to 5, and the resort was ranked number three out of 63 properties in Karon beach, Phuket. 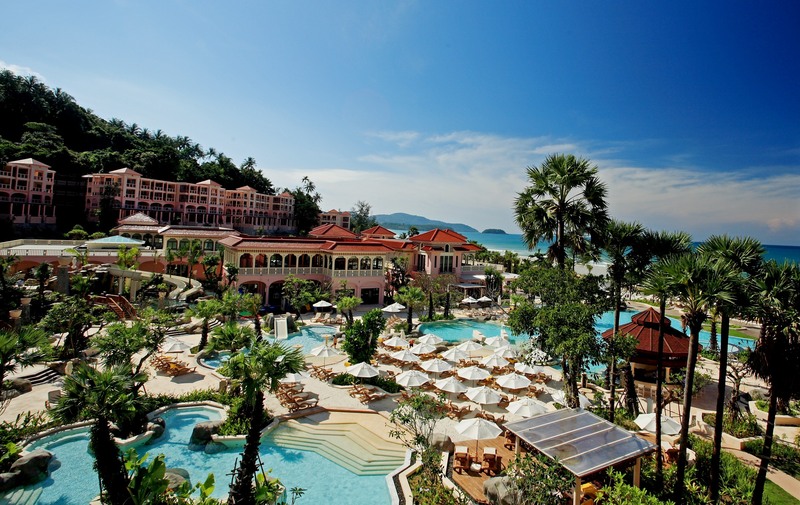 Centara Grand Beach Resort Phuket is a five-star resort located in the most secluded area of Karon Beach, with direct beach access and backing onto dense green hills, and embodies the classic Sino-Portuguese architectural style. All of its 262 rooms, suites and villas face the ocean. The resort is set in a landscaped water park with a lazy river and four swimming pools, three restaurants and its Spa Cenvaree. 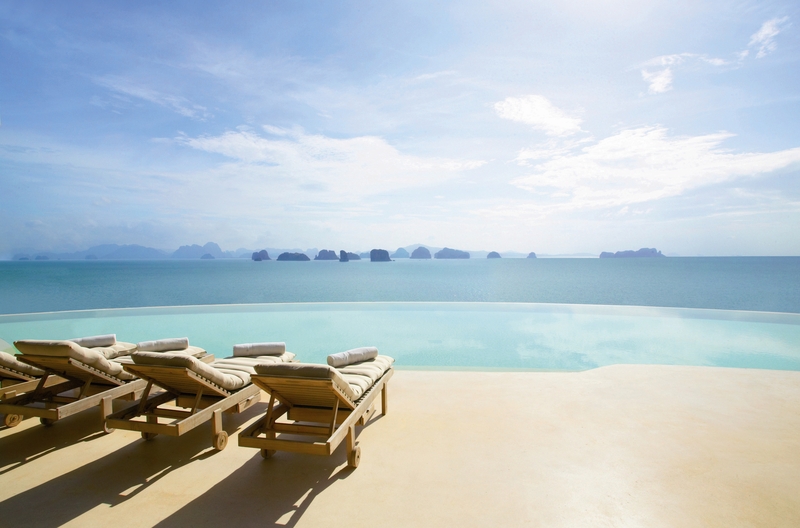 PEGASUS CAPITAL ADVISORS, a U.S.-based private equity fund manager, has entered into an agreement to acquire the Bangkok-based ultra-luxury resort and spa business of Six Senses Resorts & Spas. Price was not disclosed. In making the announcement, Craig Cogut, Pegasus Capital Advisors’ founder, noted that the Six Senses’ brand “has a great heritage and we believe it is strongly positioned to grow”. Under the terms of the agreemrent, Pegasus will acquire all of the Six Senses and Evason-branded resort and spa management contracts and related intellectual property rights, and operate them under a new company managed by Pegasus and its affiliates. Bernhard Bohnenberger, the current president of Six Senses, will continue in that role and head the Six Senses’ Bangkok office. Going forward, added Cogut, Six Senses will be a debt-free “with committed capital for expansion into new and within existing international markets. We’re confident that our president and our strong management team will continue to build on its legacy as a recognized leader in luxury hospitality”. 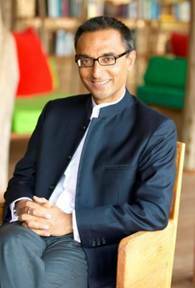 The Soneva brand and resorts – as well as the company’s real estate assets and holdings – are not included in the transaction, and will continue to be led by Sonu Shivdasani, the former founder and CEO of Six Senses, who will serve as chairman and CEO and principal shareholder of The Soneva Group. “This transaction will allow me to focus solely on the development of the Soneva portfolio of resorts and real estate assets, and allow the Soneva and Six Senses brands to flourish independently of each other,” said Sonu Shivdasani, chairman and CEO of The Soneva Group. The transaction is expected to close within the next three months. Pegasus currently manages approximately $2.5 billion in assets through several private equity funds and has made more than 80 investments since its inception in 1995. ROYAL GARDEN SPA at Pattaya Marriott Resort & Spa is offering a Summer Glow package at a special price of 4,500 BHT. The offer includes a luxurious facial journey and a body treatment and is available during April, May and June 2012. 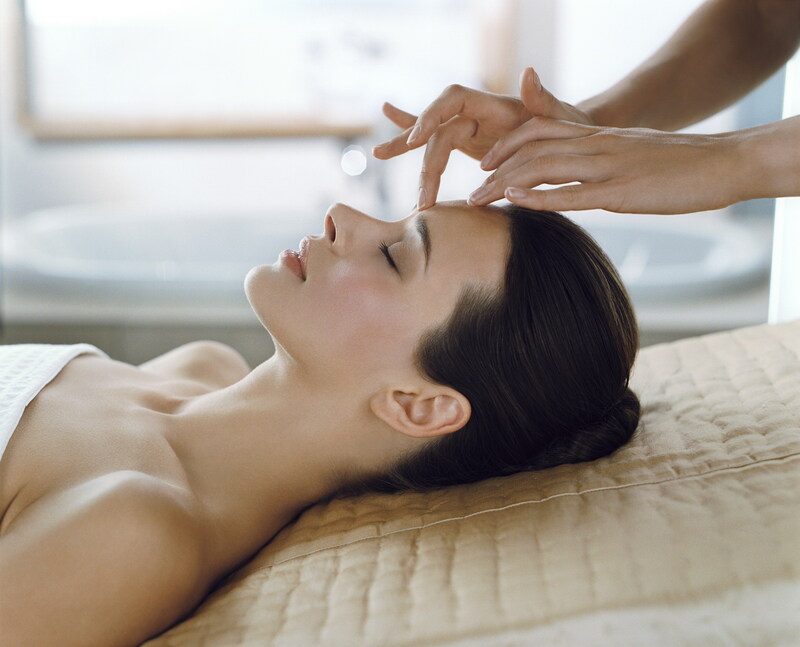 The facial features a 60-minute Elemis Exotic Lime and Ginger Salt Glow and a 30-minute Elemis mini facial. You’ll also receive a complimentary Elemis Exotic Lime and Ginger hand and body wash to continue your spa experience at home. HERE’S AN OPPORTUNITY to share of the secrets that have made French restaurateur Jean-Baptiste Natali a star Michelin chef when he visits Six Senses Yao Noi Beyond Phuket April 23-25. His restaurant, Hostellerie/Restaurant Natali, is owned and operated by him and his wife, Hélène, in the Haut Marne region of France. Before opening his own restaurant, he spent 11 years traveling and working with celebrated chefs like Christian Willer, La Palme d’Or, Hotel Martinez, Cannes; Daniel Boulud, New York; Hotel La Namounia Marakech; and The Connaught Hotel, London. He returned to France in 2001 to help his father. A year later, he was awarded his first Michelin star, which he has retained every year since, along with the title, Young European Talent. In 2005, Jean-Baptiste invested in a country house in Colombey Les Deux Egilses, a village where former French president, General Charles DeGaulle, like to retire from his public life. The renovated property now showcases his talent, offering eight elegant rooms opening onto an orchard and surrounding forests. Other well known guests include French President Sarkozy and German Chancellor Angela Merkel. It all starts on Monday, April 23, when Jean-Baptists and his wife will play host to a dinner at the resort’s Communal Table at the resort’s exclusive Hilltop Reserve restaurant, with its infinity pool and superb views of Phang Nga Bay. During dinner, guests will have a rare chance to dine with Jean-Baptiste and discuss his food, career and passion. The dinner starts at 7 p.m. with a sunset welcome drink. Cost is 2,500 BHT per person. On Tuesday, April 24, you’ll have an opportunity to join Jean-Baptiste for a cooking class and learn one-on-one his tricks and secrets of his Micheline-starred cuisine. The class is limited to eight people and starts at noon in the spa’s Cooking School. Cost – 2,500 BHT per person. And on Wednesday, April 25, head for The Dining Room for a four-course dinner with paired wines that will showcase a collection of Jean-Baptiste’s best cuisine. It starts at 7 with welcome sparkling drink above The Dining Room. Cost – 3,500 BHT per person.